In the wake of the 1967 Six-Day War Israel’s secret service, the Shin Bet was given the unenviable task of restraining an often combative Palestinian population forced to live under Israeli rule. 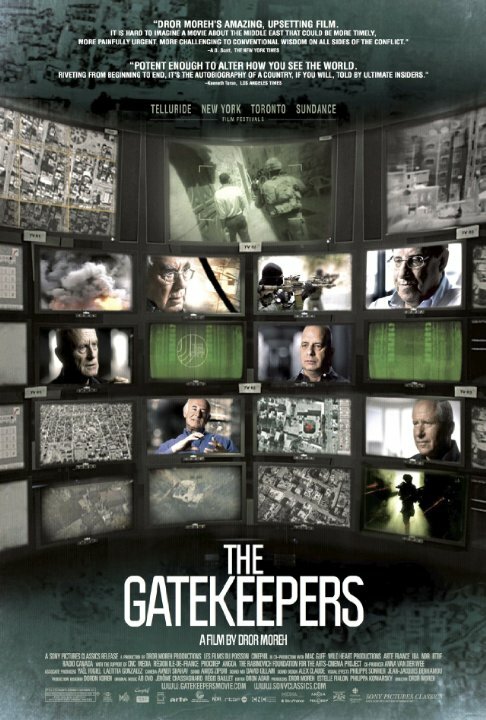 In his documentary The Gatekeepers, film-maker Dror Moreh gathers six former heads of the Shin Bet to provide a rare glimpse into Israel’s formidable intelligence agency and its anti-terrorist activities over the last four decades. Told in classic documentary style combining interviews, archival footage and the occasional graphical flourish from MacGuff, The Gatekeepers explores the deadly world of terrorism which the Shin Bet inhabit. Highlighting the life or death decisions these men must make, the frank and almost dispassionate manner in which eliminating terrorists is discussed contrasts sharply with the necessity to minimize collateral damage. With stakes this high failure is not an option, and uncensored footage of a suicide bomber’s handiwork provides a stark reminder of what happens when things go wrong. While The Gatekeepers may show a somewhat leftist bias it does not shy away from criticising Israel’s harsh and sometimes brutal treatment of Palestinian refugees. Perhaps surprisingly there is a real sense of empathy with the plight of the Palestinians which is at odds with the Shin Bet’s political masters. With a peace process constantly undermined by extremists on both sides and with no end in sight to the cycle of violence, the frustration and disillusionment the Shin Bet heads express paint a bleak picture for Israel’s future. Clocking in at just 97 minutes long The Gatekeepers can only begin to scratch the surface of the complex issues that surround the Israeli/Palestinian conflict, but it does provide a thought provoking insight into Israel’s own “war on terror”. Highly recommended.